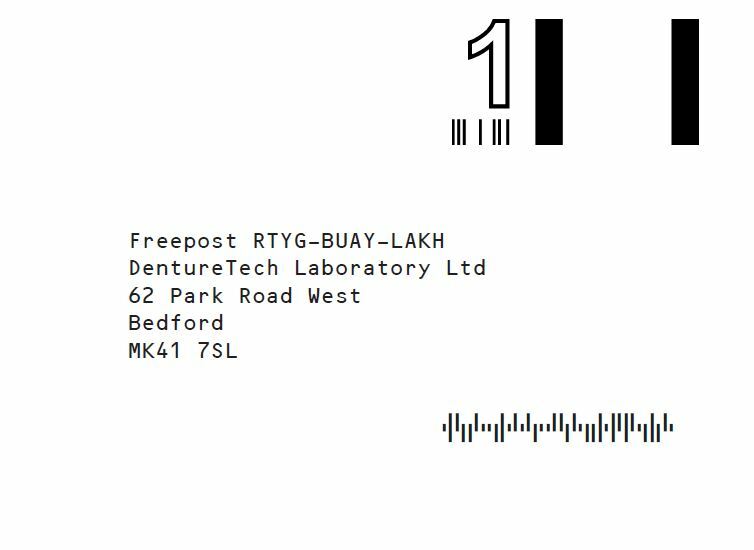 DentureTech Dental Laboratory have recently added a Royal Mail FREEPOST service for private and implant retained dentures, this service runs nationwide. When we receive this in our lab (normally 1-2 working days) we will process this in line with our normal turnaround times. The turnaround for work on this basis is an additional 4-5 days of our normal processing times, which are 5 working days and longer for chrome and implant work. Call for more information if specific dates are required. Please note that this service is only available for private dentures and implant retained dentures. Any NHS work sent on this service will be charged as private work.